The 2017 Virginia’s Outdoor Lovers Expo to be held April 22nd at Bisset Park in Radford, Virginia. From our friends at the New River Valley Regional Commission. 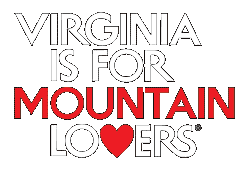 Radford, VA – The Virginia’s Outdoor Lovers Expo is coming to the New River Valley, April 22nd. This free, family-friendly event will be held at Bisset Park in Radford from 10:00am to 4:00pm. The event will host a 300-foot zip line, paddleboard demonstration pool, outdoor gear raffle and gear swap, local food, brews and live music all staged alongside the New River. Appalachian inspired entertainment such as County Connections and RYZ are scheduled to perform on the main stage. The Kid Zone with a rock wall and bounce house, and demonstrations such as; chainsaw carving, outdoor survival tips, and Leave No Trace outdoor ethics awareness will round out the event. This year’s expo will have upwards of 100 outdoor related businesses, organizations and attractions including the Appalachian Trail Conservancy, Mountain 2 Island Paddleboard, Cabela’s, Virginia State Parks, and many more. Come celebrate Earth Day with all of Southwest Virginia as you browse interactive booths and demonstration areas. The Virginia Outdoor Lovers Expo began in Abingdon in 2014 and for the first time ever, will be held in the New River Valley. The event’s focus is to raise awareness of the diverse outdoor recreation opportunities that are abundant across Southwest Virginia while providing a platform for businesses, clubs, organizations, and communities to form and strengthen ties throughout the region. This event promises to be the perfect opportunity to connect, explore and plan your next outdoor adventure. Brought to you by generous sponsors including the Virginia Tourism Corporation, Blue Ridge Outdoors, Carilion Clinic, and Mountain Lake Lodge. Outdoor related vendor applications will be accepted until April 1st. Registration can be accessed on the website. The Expo planning committee will also continue to accept sponsors. For information on sponsorship and applying for a vendor booth contact James Jones at jjones@nrvrc.org or call 540-639-9313. More details on the event and how to participate, along with updated information can be found at www.swvaoutdoorexpo.com.